At the end of 2011, South Africa hosted the 17th Congress of the Parties (COP17) of the United Nations Framework Convention on Climate Change (UNFCCC). Oxfam identified this as an important opportunity to champion pro-poor adaptation and mitigation and ensure that people's voices, especially from Africa, were heard. As a consequence, its existing climate change advocacy campaign in the Republic of South Africa (RSA) was reoriented to include a specific focus on COP17. 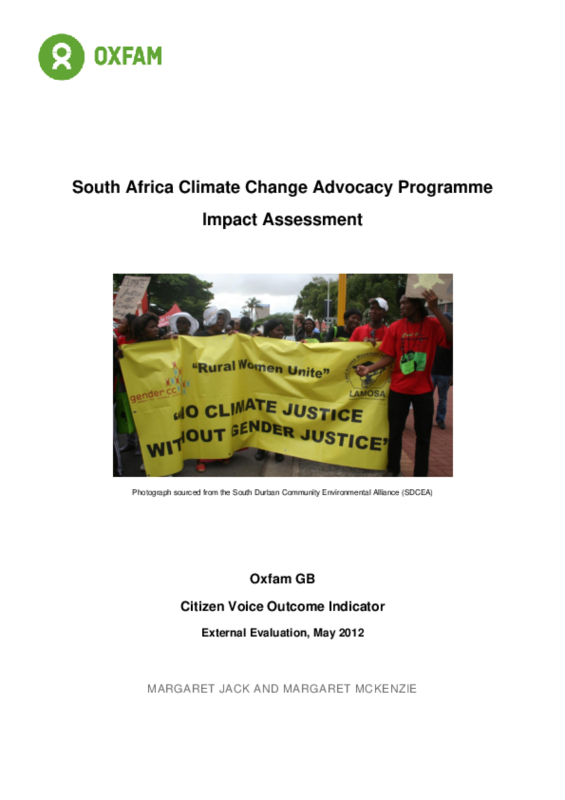 This report documents the findings of a qualitative impact evaluation, carried out in May 2012, which used process tracing to assess the effectiveness of Oxfam's COP17 campaign.